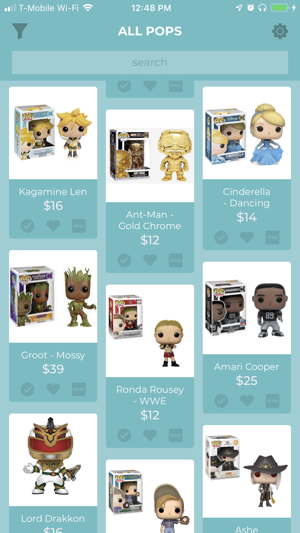 Pop Collect is an app for collectors of Funko Pop! vinyl figures. - Quickly check information on just about every Pop figure - eBay prices, pictures, release dates, exclusives, and vault status. 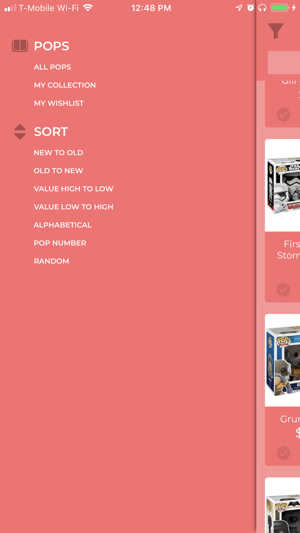 - Keep a catalogue of Pops that you have. 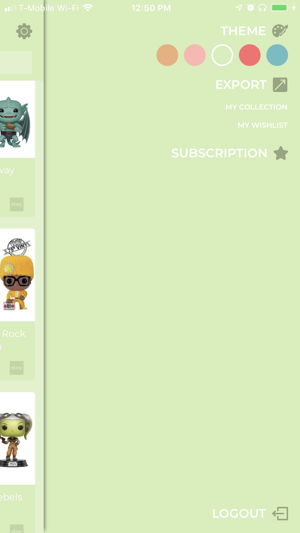 - Keep a catalogue of Pops that you want. 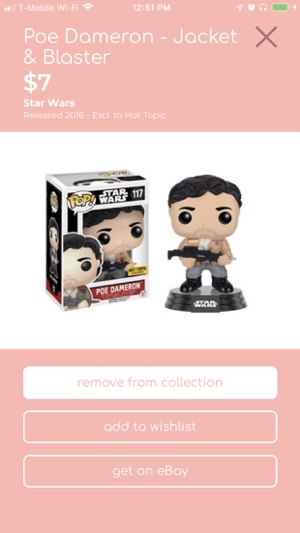 Pop Collector is completely free to use. There is an optional subscription to help with running costs that will provide small perks over time. The subscription is auto-renewable for the cost of $0.99 USD per month. The subscription can be cancelled at any time by visiting the Subscriptions section of your iTunes account. Disclaimer: Pop Collect does not own any of the information presented in this app. All information presented is considered public knowledge. Pop Collect and the developer do not represent Funko and are in no way affiliated with Funko. - The app looks cleaner, and is easier to use. - Tap on photos to see more detail. - Ads have been removed. - More themes have been added for premium users. Thanks for the review - I'm aware of the issues and I'm working hard to get them taken care of as quickly as possible. 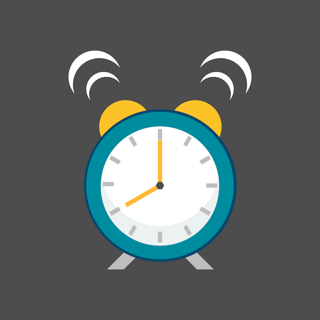 In the meantime, your collection should re-appear if you delete the app and re-install. I miss the categories of Pops and the counting of how many pops I have. For example, I could pick the category Harry Potter, pick “own”, and get a list of all my HP Funkos with the total number of them right at the top. And I could sort them by several different ways - price, number, age... I miss the old version. App needs a lot of work! New pops are not available and the search functions is very bad. I tried typing in #8 and got search results for everything except what I was looking for. A “vaulted” category would be great as well! Im deleting the App. Maybe in a few months the developers will have done something about these issues.